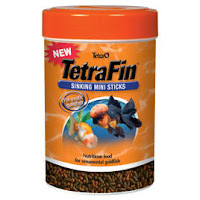 Tetra is one of qualified goldfish food brand and has been pioneered the development of flake fish foods. Tetrafin Sinking Mini Sticks is sinking goldfish food product from Tetra. 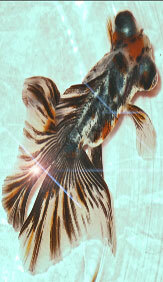 This is a good staple for goldfish to provides perfect supplement to your fish’s primary diet. This mini sticks is also best developing of rich color in your goldfish particularly designed for fantails, Moors, orandas, ranchus, bubble eyes, and lionheads When you choose Tetrafin for feeding your goldfish, you have been give best food for goldfish in order to give perfect diet and your fish will like it. Promote development of rich color. Product available in a 3.53 oz can. Fantails, Moors, Orandas, Ranchus, Bubble Eyes, and Lionheads.